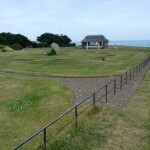 The clock is ticking for Cromer Town Council to take ownership of a much-loved but stagnating clifftop park following 15 months of “frustrating” legal delays. 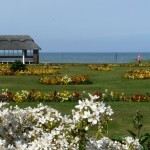 Some key decisions were made by Cromer Town Council on Wednesday night. 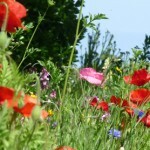 We are issuing this brief interim newsletter to make you aware of what is, and isn’t, happening to your Park. 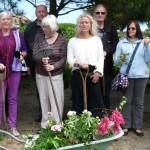 Ready, Steady, Weed – all tooled up and no where to garden; watch out for the official photos in the local papers soon. Nelson Mandela said “It always seems impossible until its done”; we remain positive that with support from the Park owners, either the district or town, your enthusiasm will help us make North Lodge Park a real asset for Cromer. 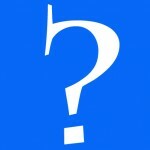 Walt Disney was right when he said “It’s kind of fun to do the impossible”. The Friends survey on North Lodge Park generated a very strong response with 747 people responding during March and April 2015. 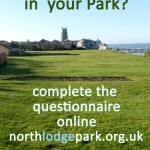 Many people said Cromer was tired of being asked what they wanted in North Lodge Park so we really were surprised to receive 747 responses – more than all previous surveys. Nearly 100 people packed into Cromer’s Garden Street Community Centre on 4 March for the inaugural meeting of the Friends of North Lodge Park to “have their say” on the future of the Park. 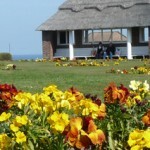 The Friends of North Lodge Park group want everyone in Cromer to have their say in the future of North Lodge Park.